Tara is a Treasury Management professional who partners with commercial clients to create personalized solutions that help them optimize cash flow and minimize risk. After spending years in the banking industry serving business customers, Tara knows how to look past the numbers and identify new and better banking alternatives – ones that allow her clients to work more efficiently, advance them towards their goals, and mitigate risk. Tara has achieved her ACH accreditation through NACHA. As an Accredited ACH Professional, Tara has a superior ability to assist clients in effectively managing their ACH network use and enhancing their risk management profiles. 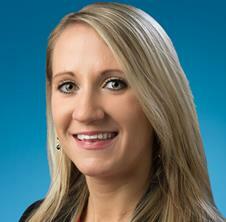 Tara holds a BA in finance from the University of Wisconsin – Platteville.